Autism in Paradise: You've Got to Be Kidding Me! Is there nothing the flu vaccine can't do?? Now it is said to prevent autism!! Last week I read something that struck me by its shear ballsiness. In the never-ending campaign to convince the American public that a minimally effective vaccine is the only thing standing between them and death from the flu, the Mayo Clinic “News Network” posted a video that proclaims that pregnant women who get a flu shot will reduce their child’s risk of developing autism. Say WHAT?? I find these tactics despicable on several levels. The primary one being the safety of getting the flu shot during pregnancy has never been demonstrated—in fact just the opposite is true, and the other is the manipulation in using a pregnant mom’s natural desire to protect her unborn child…I mean, how low can you go? Women are cautioned not to drink coffee while pregnant, for pete’s sake, but a vaccine containing mercury (thimerosal) and formaldehyde injected into a pregnant woman, and therefore into a developing fetus with an immature blood-brain barrier is A-OK? Before a baby has drawn its first breath we are exposing them to neurotoxins in the name of preventing autism? 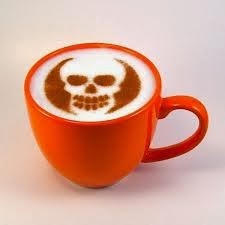 Coffee while pregnant is a no-no, but heavy metals and chemicals in the form of a vaccine, no problem! The CDC and pharmaceutical industry score lower on the ethics scale than the corner drug dealer. At least the drug dealer’s not telling you his wares are good for you while pushing his products. Your doctor and vaccine manufacturers are not liable if you or your unborn baby are harmed by vaccines. “I like to say it this way: you can think of influenza and rubella vaccines as anti-autism vaccines”. You have gotta be kidding me—the shear negligence of this statement should amount to malpractice at a minimum…it should be criminal. 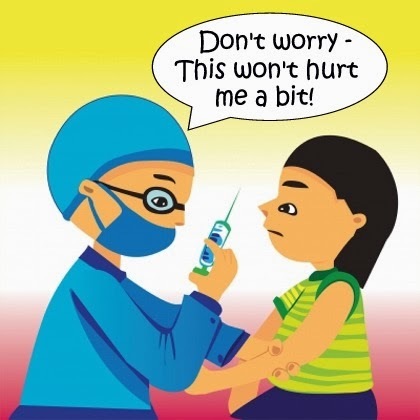 VAERS is the database the government keeps of self-reported vaccine injuries. The flu vaccine during pregnancy has not been demonstrated to be safe and has in fact been shown to cause a 4,250% increase in fetal deaths(1). Yes, that's a FOUR THOUSAND TWO HUNDRED FIFTY PERCENT INCREASE. The study cited used the Vaccine Adverse Event Reporting System (VAERS) to assess fetal death reports following flu vaccine administration. VAERS is a national vaccine safety surveillance program co-sponsored by the Centers for Disease Control (CDC) and the Food and Drug Administration (FDA). It is self-reporting, so relies on a victim of vaccine injury or their physician to report an incident; the CDC and FDA both readily admit under-reporting is quite likely, which means the already shocking figure you see above is probably an under-estimate. Have you ever been told by your doctor or your child’s pediatrician to report adverse effects to VAERS? A reproductive and developmental toxicity study has been performed in female rats at a dose approximately 56 times the human dose (on a mg/kg basis) and revealed no evidence of impaired female fertility or harm to the fetus due to FLUARIX. There are, however, no adequate and well-controlled studies in pregnant women. Because animal reproduction studies are not always predictive of human response, FLUARIX should be given to a pregnant woman only if clearly needed. • Inform of the potential benefits and risks of immunization with FLUARIX. 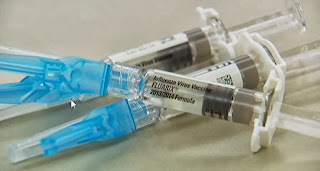 • Educate regarding potential side effects, emphasizing that: (1) FLUARIX contains non-infectious killed viruses and cannot cause influenza and (2) FLUARIX is intended to provide protection against illness due to influenza viruses only, and cannot provide protection against all respiratory illness. • Instruct to report any adverse events to their healthcare provider. • Inform that safety and efficacy have not been established in pregnant women. Register women who receive FLUARIX while pregnant in the pregnancy registry by calling 1-888-460 452-9622. I would also call your attention to the sentence that says, “FLUARIX is intended to provide protection against illness due to influenza viruses only, and cannot provide protection against all respiratory illness”. If you read my piece last year, “Boo, It’s the Flu”, I described how most people who complain of having the flu, in fact have respiratory infections that are not flu-related—the actual figure is published by the government every year. This inclination to call any chest infection “The Flu”, makes people believe it is more prevalent than it actually is, and it appears the Flu Division at the CDC encourages this—it’s job security for them, after all. If you look closely at the government’s yearly flu figures, you’ll notice they lump them in with respiratory infections to make the number of flu cases seem much higher. "Pregnant Women Need a Flu Shot!" "If you're pregnant, a flu shot is your best protection against serious illness from the flu. A flu shot can protect pregnant women, their unborn babies, and even the baby after birth..."this according to the CDC. Not anyone who has done their research. 1) Goldman, G.S. (2012). Comparison of VAERS fetal-loss reports during three consecutive influenza seasons: Was there a synergistic fetal toxicity associated with the two-vaccine 2009/2010 season? Human and Experimental Toxicology; 1 – 12. Yes, it is paradise...but we have autistic children here, too, and we're in the middle of the Pacific Ocean, which makes getting medical care more challenging. But we have flu shots on every street corner!